The sharp increase in the price of cooking gas in Sudan prices marks a further rise in the prices of other basic commodities, says economist Dr Siddig Kabello. He predicted that the prices of petrol and diesel, and those of imported food such as wheat, rice, lentils, and milk will soon rise too. “This increase reflects the deep economic crisis the country is living in,” Kabello told Radio Dabanga on Tuesday. “The government has taken advantage of the recess period of the National Assembly to issue the decision. On Monday the Sudanese government announced a threefold increase in the price of an LPG cylinder from SDG25 ($4.10) to SDG75. The economist attributed the price increases to the “absence of serious plans to find real resources to cover the huge budget deficit, caused by the spending of huge amounts on war and political manipulation, and by the broad international isolation”. Independent members of the federal parliament are preparing to summon the Ministers of Oil and Gas and Finance over the price increase in cooking gas. Independent MP Abdeljaleel Ajabein told Radio Dabanga that he expects an increase in bread prices next week. He fiercely criticised the Minister of Finance, and said that the independent MPs will demand from the Oil Minister to submit his resignation, although he acknowledged that the parliament itself “has directed the biggest blow to the Sudanese by passing the 2016 national budget without tax increases”. The MP also denounced the recent amendment to the articles in the Penal Code regarding rioting. The penalty for rioters has been extended to five-years-imprisonment. 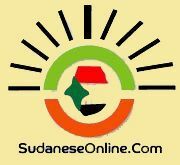 The opposition Sudanese Congress Party rejected the increase of the cooking gas price in a press statement on Tuesday. The party stated that the “price increases in all the basic goods are not justified. Commodities such as wheat and oil derivatives are experiencing remarkable price drops on the world market. 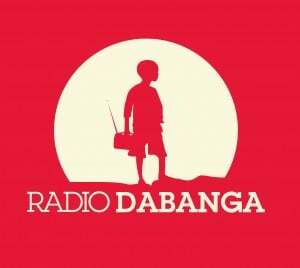 Listeners in El Nahud in West Kordofan told Radio Dabanga that the town has been experiencing a severe bread crisis for nearly a month. “This is the result of the scarcity of subsidised flour and the soaring prices on the black market,” one of them said. The sources also complained about a major shortage of LPG cylinders as well as charcoal. A resident of Doka town in eastern Sudan’s El Gedaref state also reported a severe flour crisis and soaring bread prices. He added that “because of the growing scarcity of essential commodities and the soaring prices, the living conditions are rapidly deteriorating”. On Saturday, the Second vice-President Hassabo Abdelrahman officially opened the government-owned Gena Flour Mills in North Khartoum.andnbsp;With a productive capacity of 1,800 tons the Gena Flour Mills will be the largest in Sudan. Inandnbsp;mid-Julyandnbsp;last year, the private-owned Saiga Flour Mills, that used to be Sudan’s major flour supplier, shut down its mills reportedly after a dispute with the government about the US dollar rate set for wheat imports. The much higher US dollar rate on the black market was causing major losses to the flour mills. The head of the Khartoum Bakers Union told the independent electronic newspaperandnbsp;Hurriyatandnbsp;at the time that “the bakeries depend on distribution by Seen Flour Mills alone”. According to the newspaper, the Seen company is owned by the National Intelligence and Security Service (NISS).